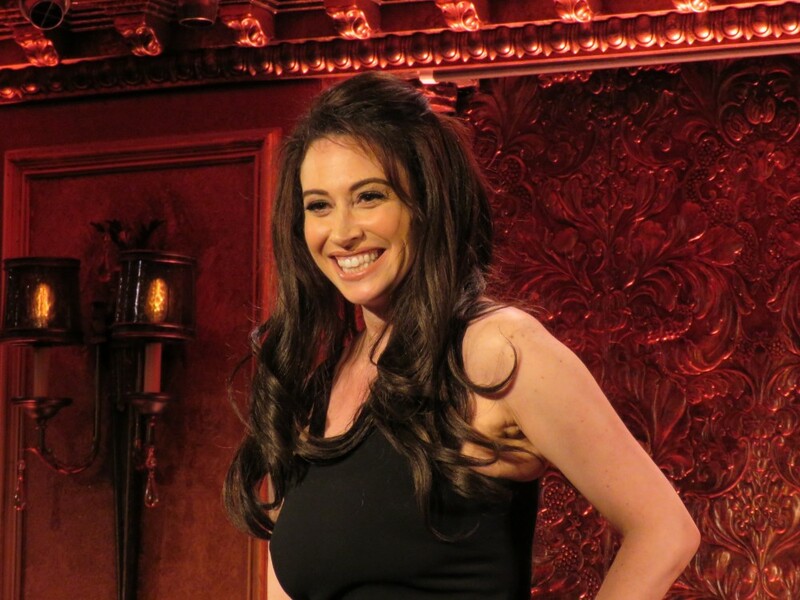 One can’t help but watch Lesli Margherita’s Rule Your Kingdom concert at Feinstein’s/54 Below and envision her in other roles. Picture Groundhog Day truly having legs thanks to her sardonic persona – not as the boring producer Rita but weather-person Phil. Her talent and personality sparkle and illustrate the paucity of roles with bite for women in New York musical theater. Putting one’s art and creativity into the world – especially one beset with social media is not for the faint hearted. Thankfully, the world has Margherita to put it all into perspective. Having graced the world’s stages in productions like Zorro The Musical (Oliver award-winner for Best Supporting Actress); Little Shop of Horrors; Dames at Sea; Matilda; and now ruling the roost at Feinstein’s/54 Below. She warns us early on this isn’t a greatest hits of her Broadway performances – if you wanted to see her in those roles, you should have bought tickets for those shows (I’m paraphrasing, but she’s right). The concert hightails it through Margherita’s life starting with her roots in a California ranch performing for the cows while singing and idolizing Dolly Parton and Reba McIntire. If a cow upstaged her, she could always have them off’d. Her parents recognized her talents and schooled her in the finest of sequins and c-level performers. Somehow this led to a stint at Disneyland as a singing princess – yearning to be Arielle. The anecdotes are hysterical and peppered with appropriate songs including Jolene (Parton) and Menken/Ashman (Part of Your World). This is less concert than a self-empowerment workshop with well-timed, zing filled moments and statements along the lines of “Don’t let anyone else tell you who you are. Rule you. You don’t have to outshine. Just shine.” And Margherita, her able ensemble, all shine…. mining the bawdy comedy, embracing the bittersweet nature of life, success, while ripping into songs with zest. This is an engaging evening, worthy of your time as Margherita delivers timeless talent. Seeing her in an intimate setting, telling her tales, singing great songs with gusto, provides effervescent entertainment.